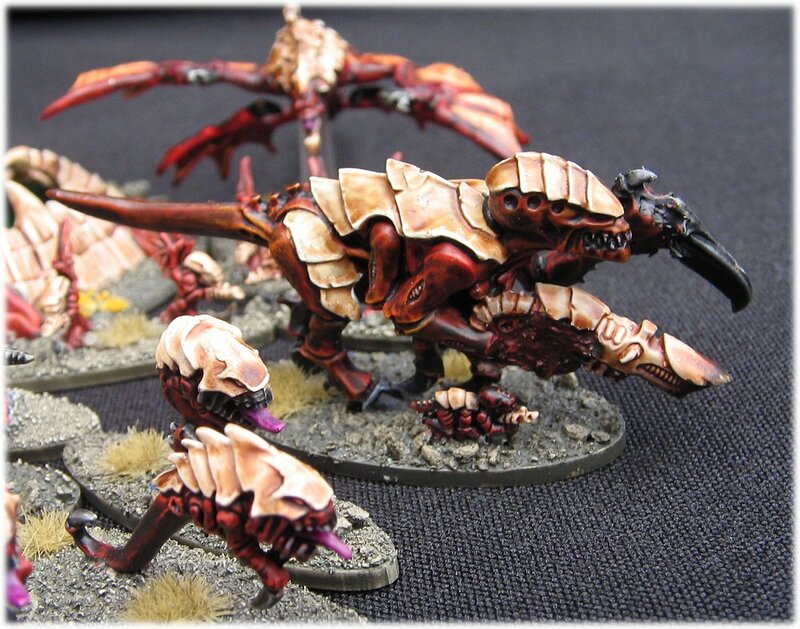 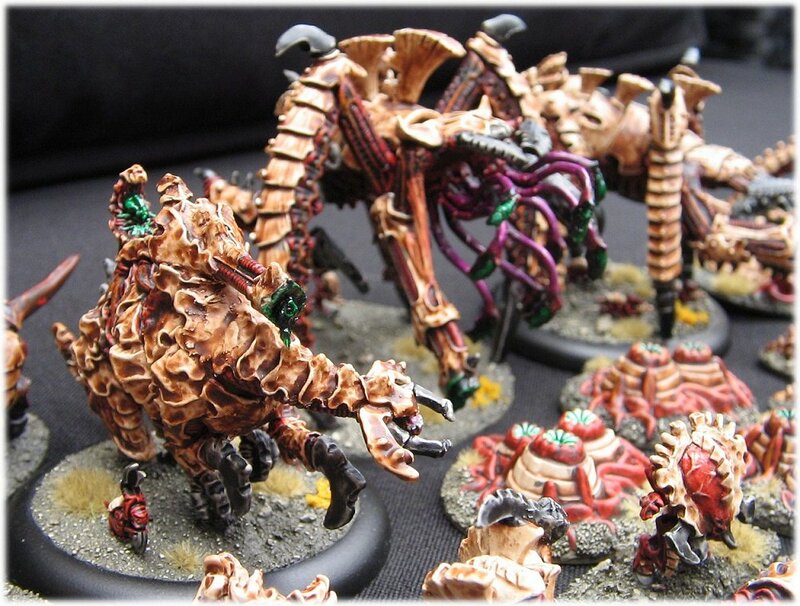 This page will showcase my Epic Tyranid hordes. 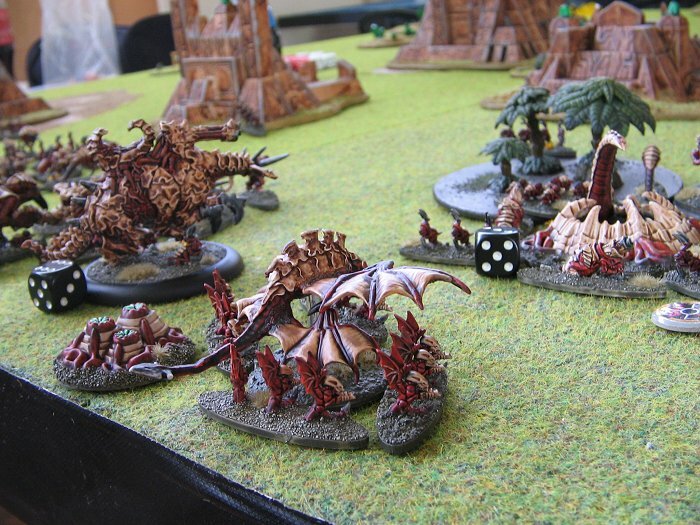 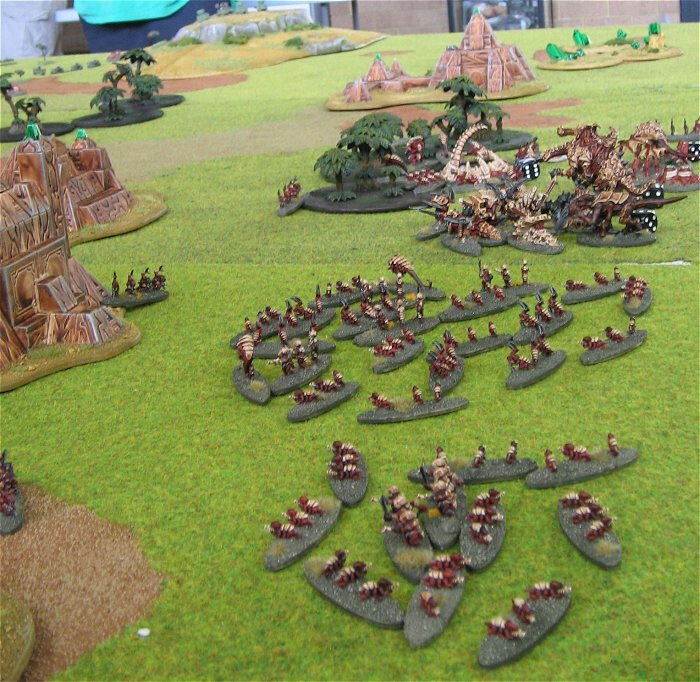 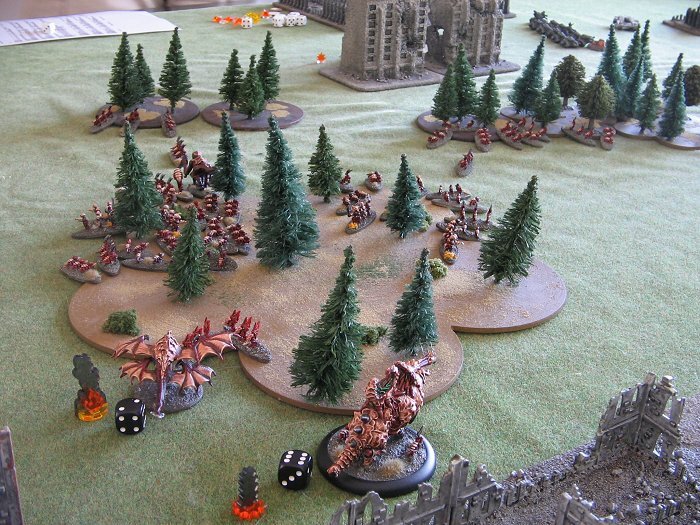 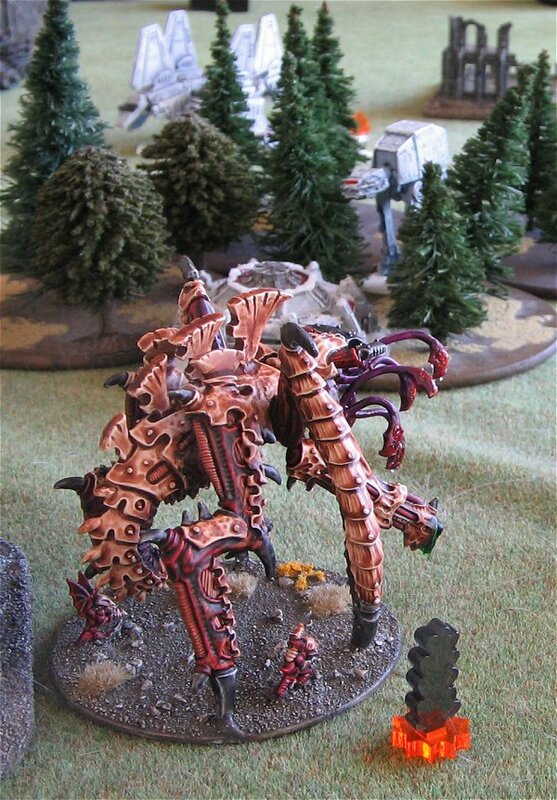 Believe it or not, this is actually many thousands of points worth of Epic Tyranids and some terrain to help the battlefield feel more alien. 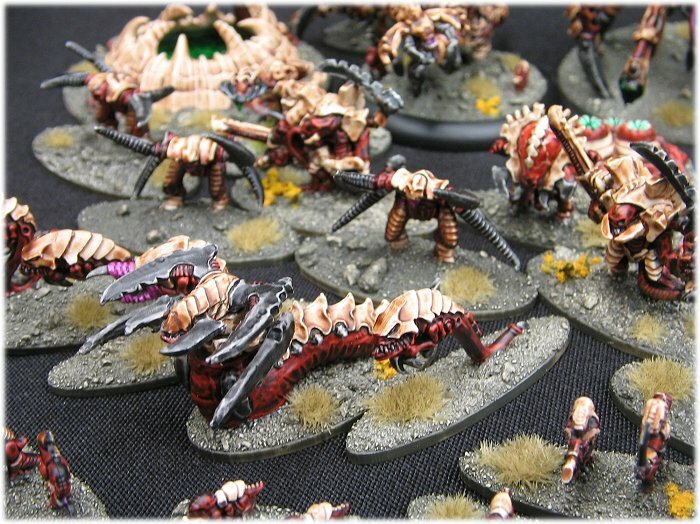 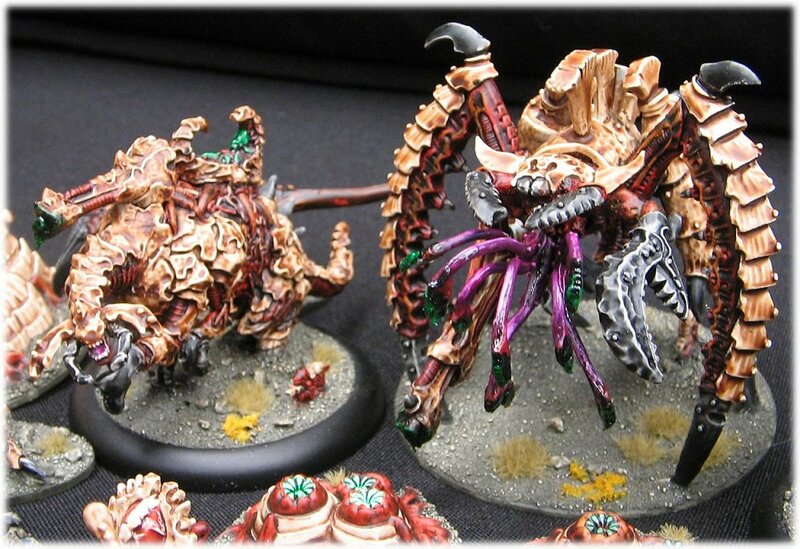 I’ve finally stated painting my bugs (thanks to the EpicUK Tyranid list). 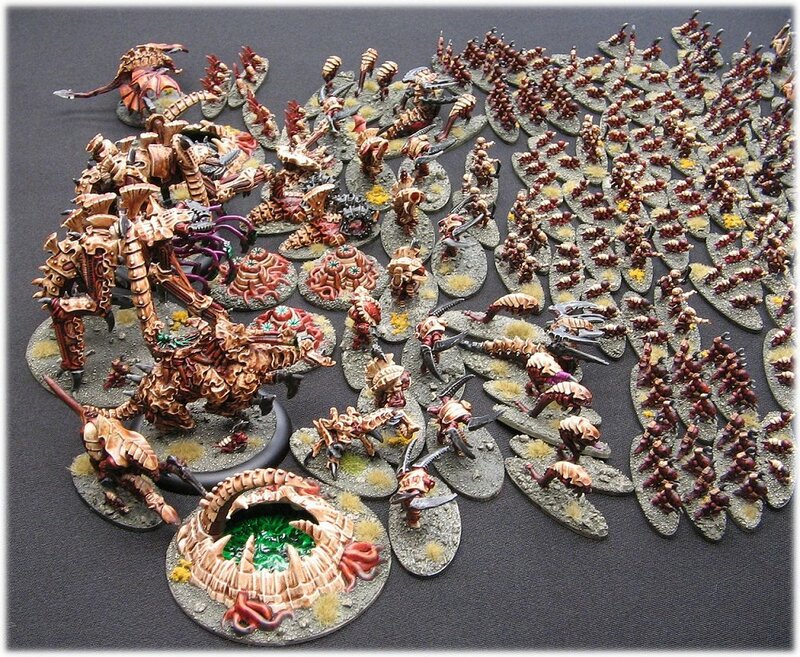 The Tyranid horde (so far – there is more to add eventually). 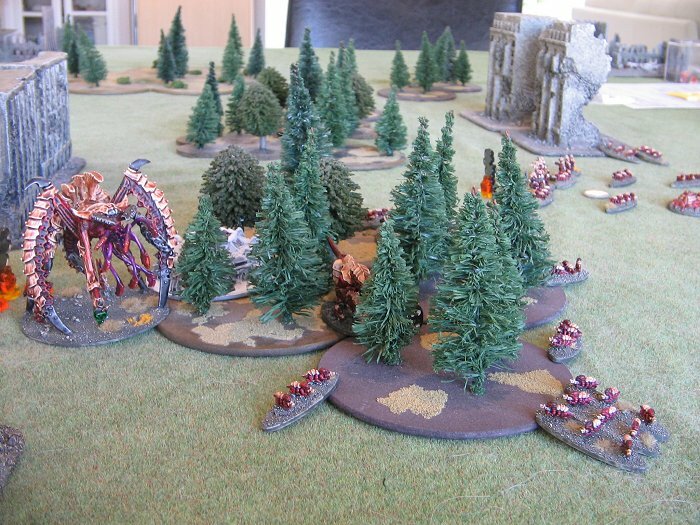 Here are some photos from my first few games. 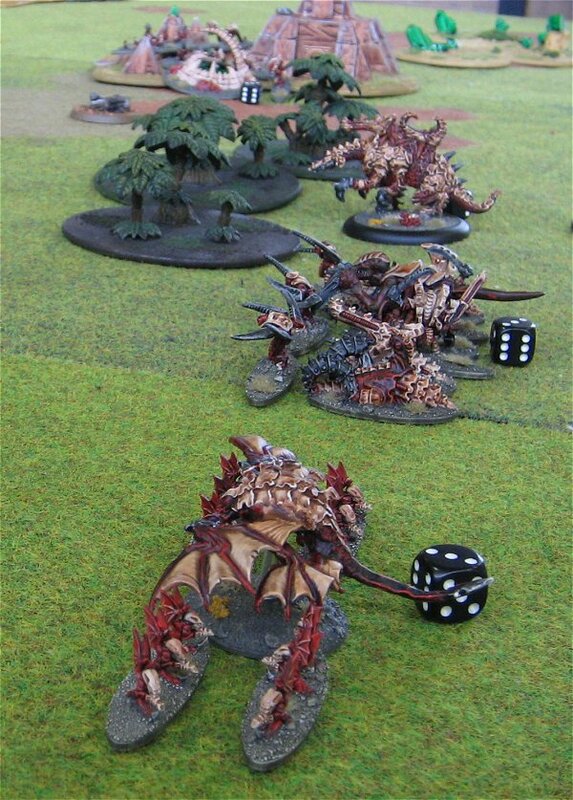 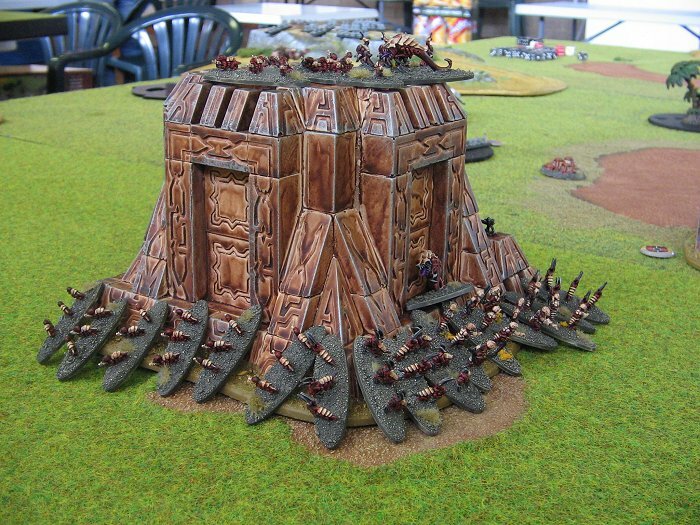 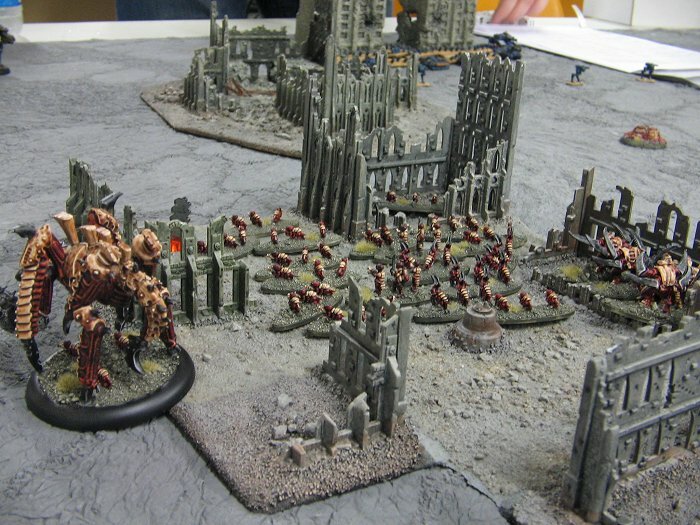 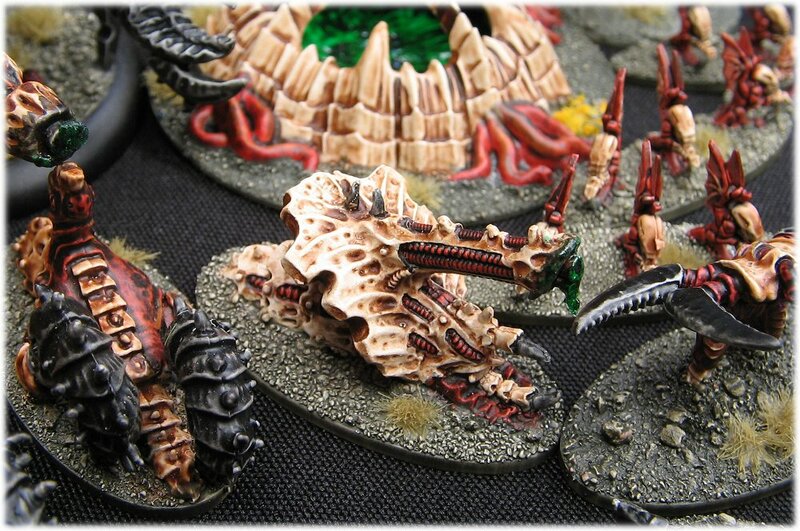 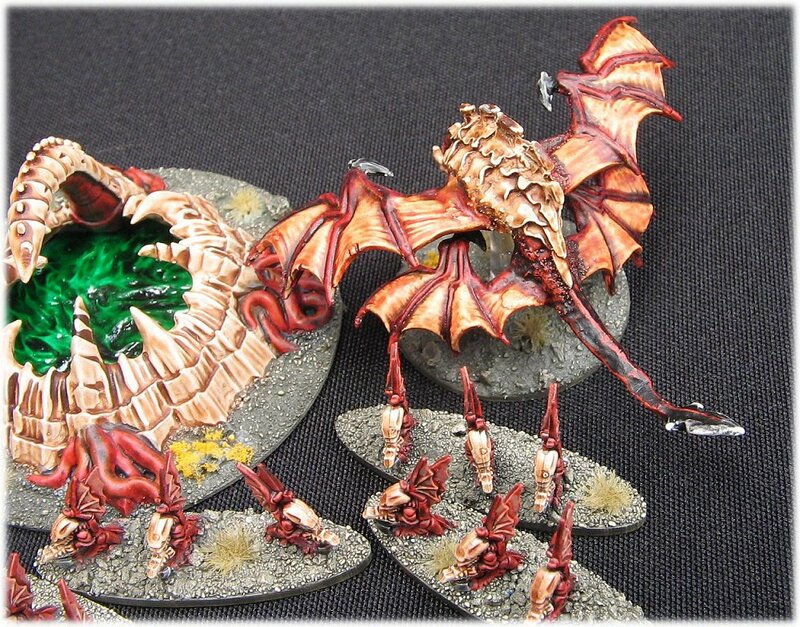 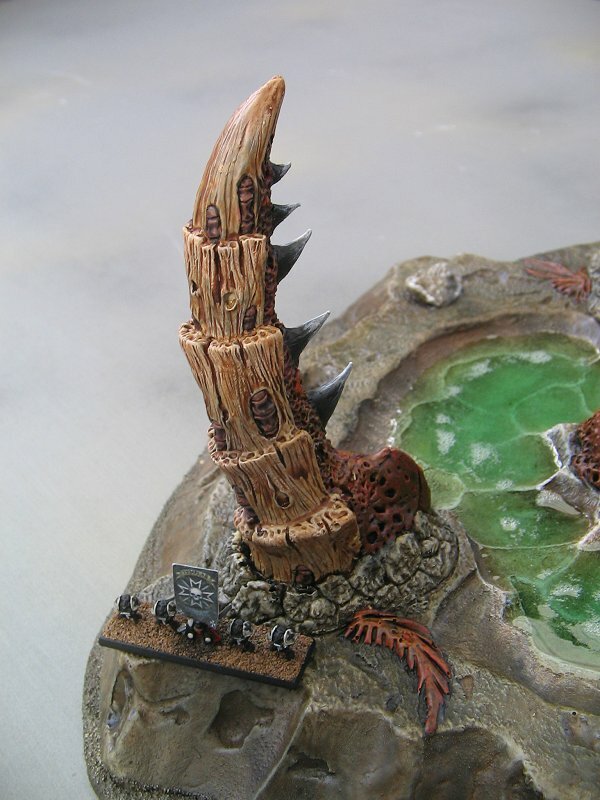 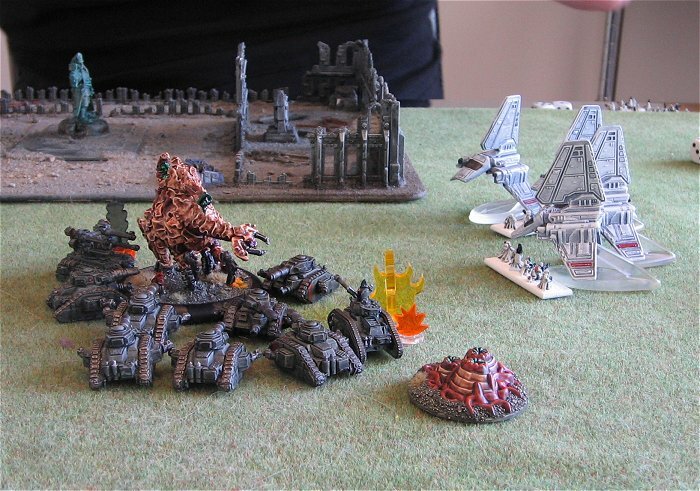 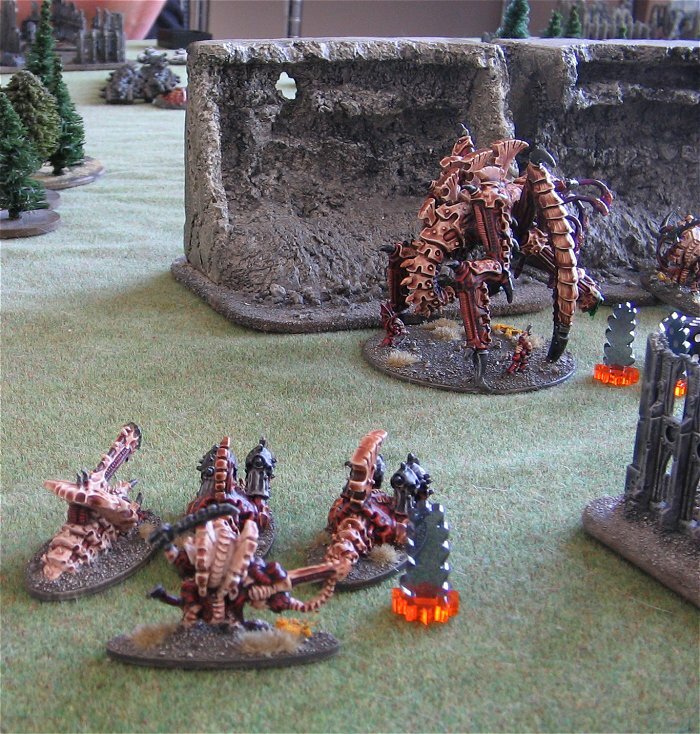 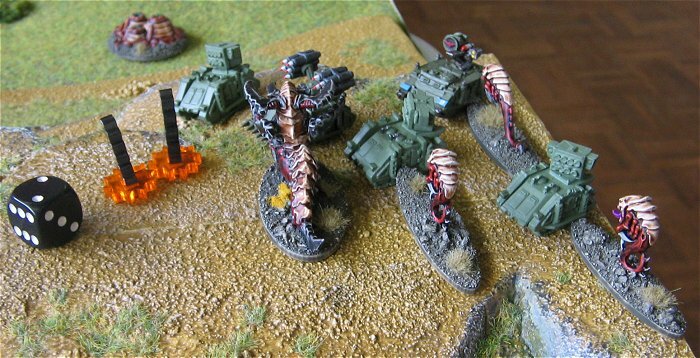 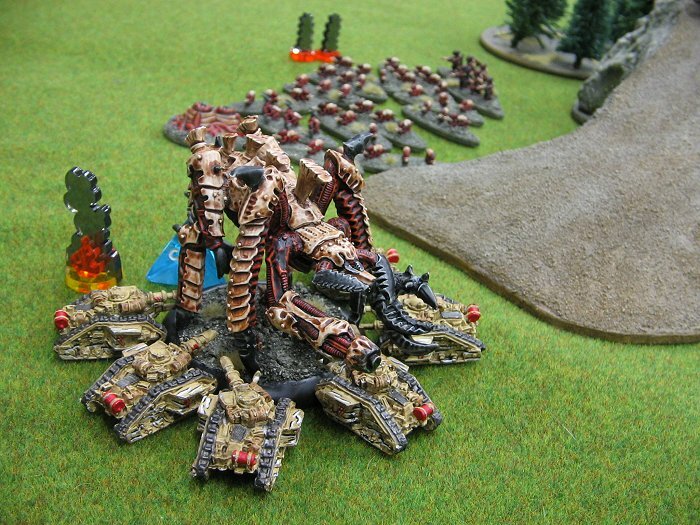 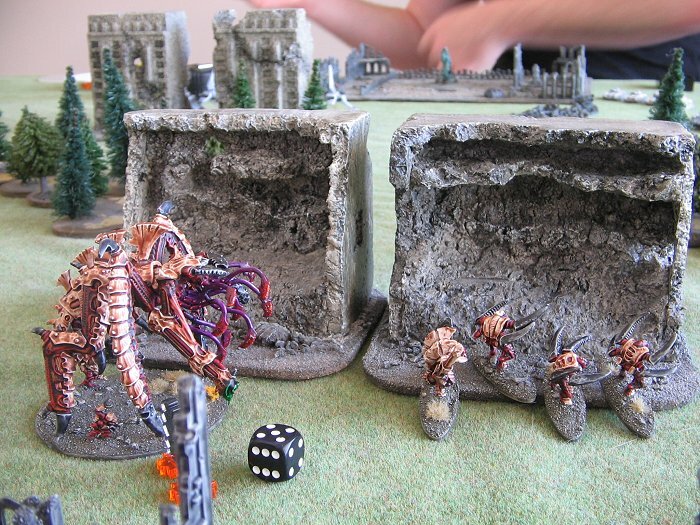 The Tyranid Digestion pool (the piece is from Ziterdes).